not of detergent. There was no chalk like substance on the clothes. 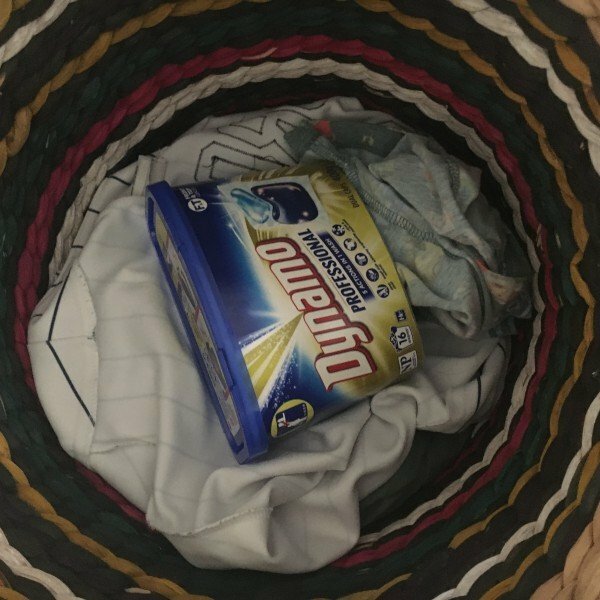 As a busy mum with 2 little children shift worker husband in the medical field and myself working I found these to be the most convenient way to my washing. Simply threw the cap in turned on my machine and back to preparing what ever needed to be done. One wash was complete I was extremely happy with the result all the clothes smelt nice and they were nice and clean. I will definately be purchasing this product in the future hoping the price is right ???? 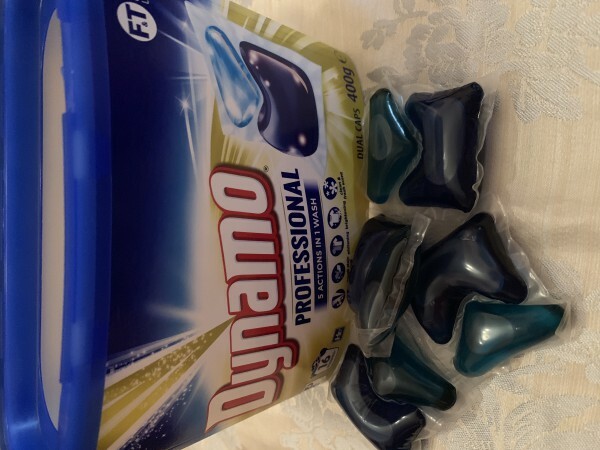 I quite enjoyed using the Dynamo Professional Dual caps- i trialed them on both towels and clothes and found that they effectively cleaned my washing and left them smelling nice and fresh. Being in capsules means that they are no fuss and no mess and would be great to take away when travelling. I\’m not sure that they are very cost effective when compared to traditional washing powders, so i would only purchase when on special or for travelling. 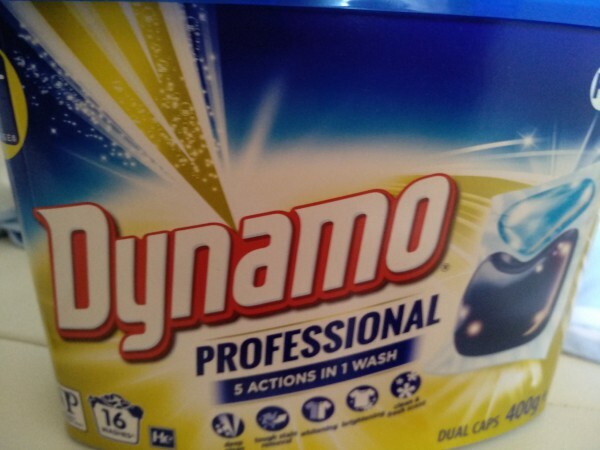 Dynamo Professional Dual Caps are easy to use and clean very well. I did try the Dual Caps on very greasy work clothes, it did a good clean but probably not as good as I expected. I would recommend these Caps for general everyday clothing and clothes that are not too dirty from grease. I have been looking for forward to using Dynamo Professional 5 in 1 Caps. A trusted and personal favourite brand of mine. 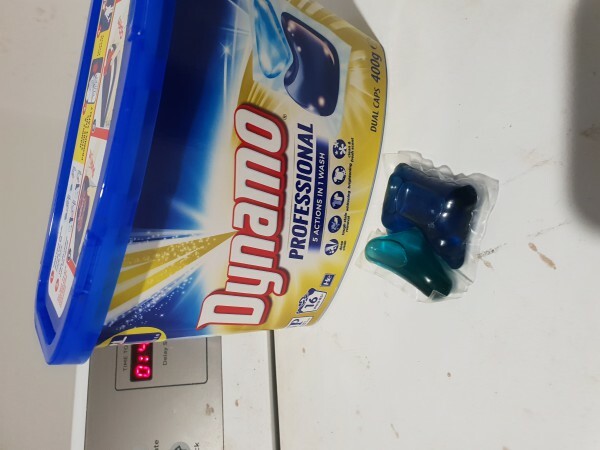 Dynamo Professional 5 in 1 Caps is easy and convenient to use. Just place one of the caps into the washing machine. My clothes became very clean. Stains were also removed easily. Although the scent is a tad stronger than what I’m used to. 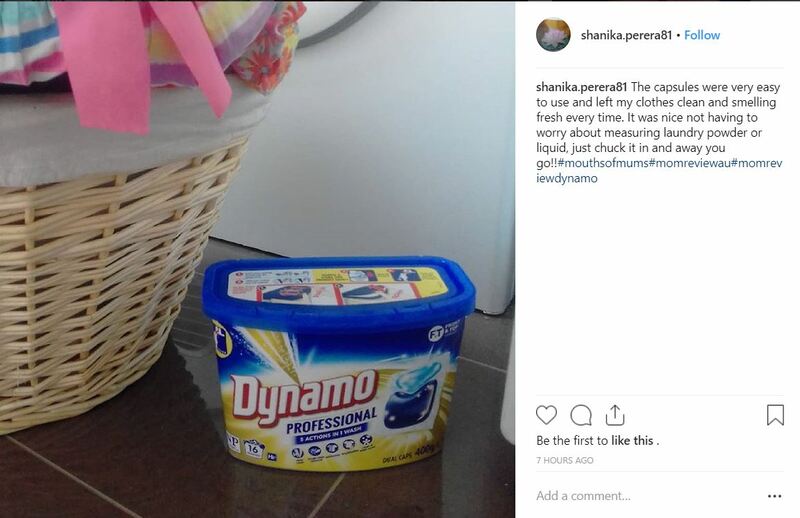 I will definitely buy Dynamo Professional 5 in 1 Caps again and recommend to my friends. 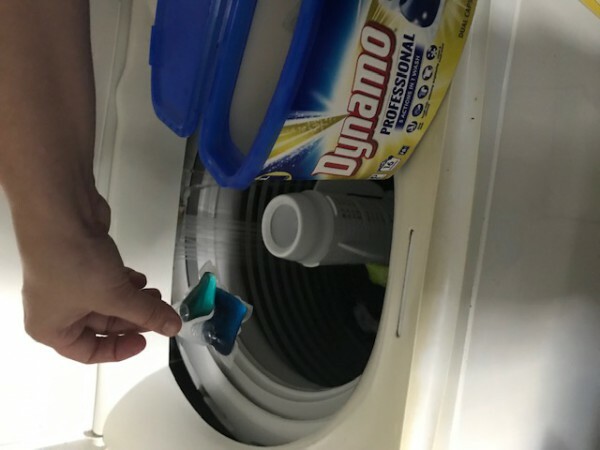 After using the dynamo capsules they will now become part of my staple items! As a full time worker and a small laundry they make washing easy and clean. No fuss and mess of sticking your hands in powder searching for the plastic scoop and carefully measuring the powder all the while spilling it all over the place. Just pop it and away you go. No fuss no mess. Fast ACTION clean with terrific results. 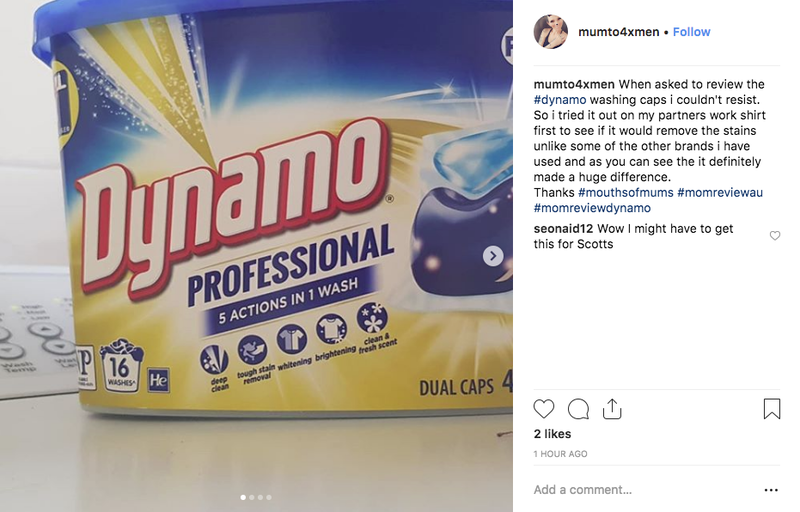 Loved trialing a fantastic brand and product, The Dynamo Professional Dual Caps, did everything it says it does, cleaned our families clothes brilliantly, removed stains and dirt, our clothing came out smelling nice and fresh, makes it easy to pop in with every wash just add a cap, with every wash which is easy to add to dirty clothes when in a hurry. I believe this product professionally got rid of hard stains with terrific results its one of my favourite’s to keep on using. I would recommend to mum’s with kids and families alike. These little pods work great on oily greasy work clothes. One of the best stain removal products I have used on my partners work clothes. I wasn’t a fan of the scent of this product tho so probably wouldn’t use on our regular washing but would possibly repurchase for use on the clothes that need a bit of extra attention. I found that it actually made the high vis seem brighter which is amazing as I thought some of the tops were long gone! The first thing I noticed was the packaging and how easy it is to understand that you can recycle the whole lot. Then I noticed the fragrance, it is very different to other brands and I love it! It’s not your typical floral type scent. The product is easy to use and my two young boys fought over who put the cap in the machine! No effort needed to use. Just throw the in and the capsules perform a thorough and great clean. They don’t smell. The packaging is convenient, but more fiddly to open than other products. I would buy them again if they came in different packaging. So easy the kids can do the washing! So my kids are an age they can start helping with washing the clothes. I’ve always preferred liquid detergent but when we do, problem: they use way to much , so we went to powder. Problem: they seem to manage to get powder everywhere. The floor, the sink, everywhere else in the washing machine but where it should go. 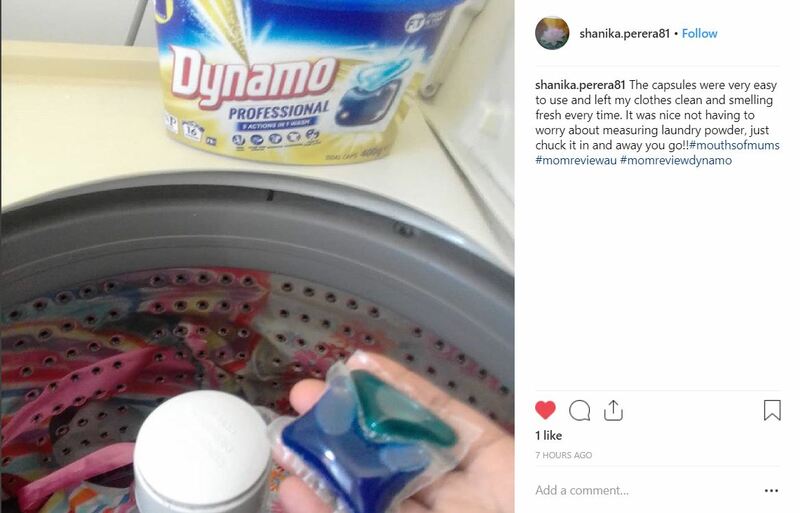 So when the opportunity came up to try Dynamo professional 5 in 1 caps, i thought it would be good to see if this would deliver on the clean, without the mess. Answer: it did. 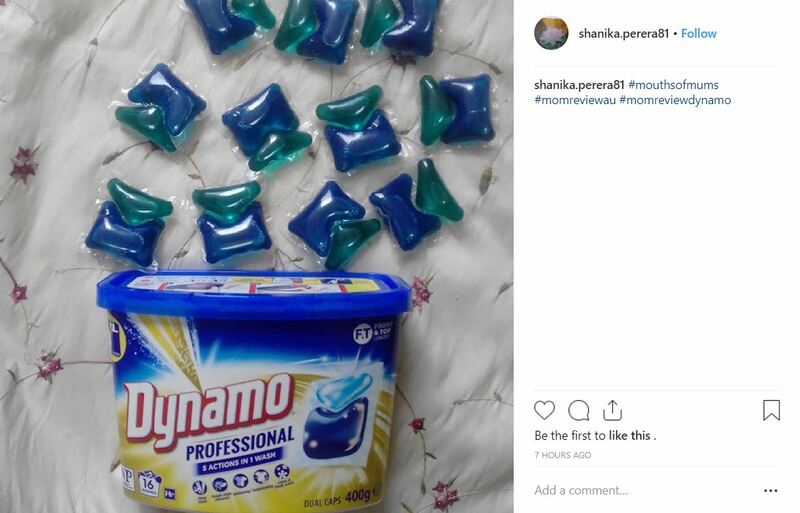 I love that its the strength of a liquid detergent, with added stain removal properties but its conveniently measured and ready to go in caps. Toss it in the machine and hey presto! No mess, no trying to measure how much its required and did i say, no mess?!? I will be ditching the liquids and the powders for this product from now on. 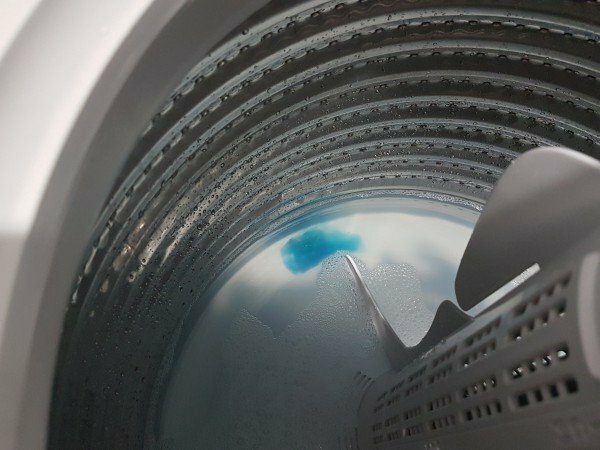 It gives a good clean and easy to use and means my kids can do more washing for me! That’s a win! I’m really enjoying these capsules. As are my kids. 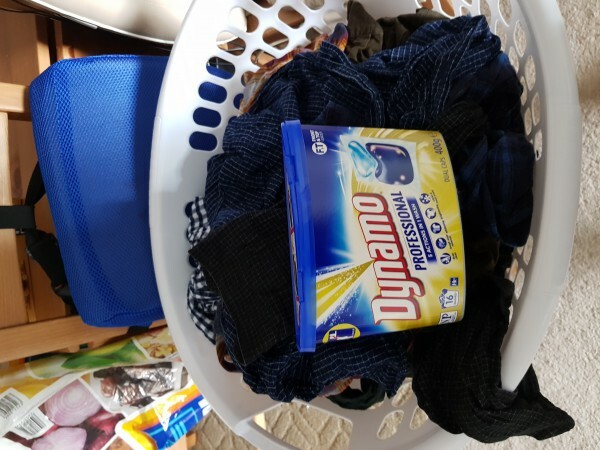 They normally enjoy doing the laundry with me (as they are still young enough to think everything I do must be fun) but these capsules have made it easier and much less messy. No laundry liquid spilt down the front of the machine and across the floor, look they’ve just about won me there. The kids simply select the capsule and through it on the bottom of the tub before helping sort the clothes on top. The capsules have proved their with on both colours and whites and as mentioned in the headline, make our cloths smell lovely. Everything has come beautifully clean but I have still been throwing in a cap of nappysan on top. Once I can get myself (and the kids) out of auto pilot I’ll be giving these a workout with some post daycare clothes. All in all, a really good product. It’s the little things that count and being able to let my kids help (& set them up to know washing isn’t a magic trick their laundry basket performs) whilst not being worried about the extra ness “helping” can create, is great. My only gripe is the box is tricky to open, understandable, as I’m sure if they got damp I’d just end up with a box of liquid laundry wash so I’ll forgive them there and will be adding these to the shopping list. I found it didn’t do a great job washing my whites, and in a normal wash (59mins, 40 degrees and 1200 spin) I found the casing in the washing, it was stuck to one of my black sass and bide shirts…so needless to say I was a little annoyed. I have a front loader washer so maybe it will work better in a top loader? Creamy tomato soup, with a twist!